"Nice pics, but, um, who are you?" 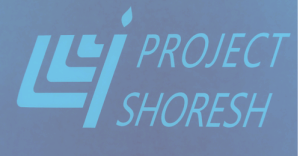 Project Shoresh was founded in 2001 for the very same, purpose that it serves today. Namely, to encourage, enable and facilitate Jews to connect to their Judaism. So many people were born into Judaism who never really had the opportunity to explore it's depths, to the point that they are skeptical to the claim that Judaism actually has anything profound to say. This is a tragedy. But let's not get weighed down with depressing statistics. Actually, the serious state of the Jewish people doesn't imply that humor is out of place. Perhaps our greatest enemy is negativity. Down with negativity! Let's connect, on whatever level we can, on whatever level we are capable, and let's laugh on the way - together. Born in Baltimore, Maryland, Rabbi Naftali Karp is the organizational, managerial and financial mastermind of Project Shoresh. He has very big shoulders (figuratively, as well as literally). He has a talent and a drive for taking responsibility for others. It was his efforts that saved Project Shoresh from succumbing to the ravages of this millenial recession. A noted scholar in his own right, Rabbi Karp has expertise in numerous areas of Halachic literature. He received his highly prestigious rabbinic ordination from Rabbi M. Heinneman, of Baltimore. He also is tons of fun. Congratulations to Rabbi Naftali Karp on being listed in the top 1% of LinkedIn's most viewed profiles of 2012! Don't be left out! Check out his profile too!